Lady Vader Costume « Adafruit Industries – Makers, hackers, artists, designers and engineers! Fan art seems to continually inspire cosplayers, and this anime style gender swapped Darth Vader by DeviantArt user Kracker-5 inspired Emily of The Stylish Geek to make a costume. Her Lady Vader costume features a lot of different textures and fabrics, and Emily made everything from the suit to the armor. She spent about five weeks making the costume and used materials such as 4-way stretch matte PVC fabric, batting, and Worbla. 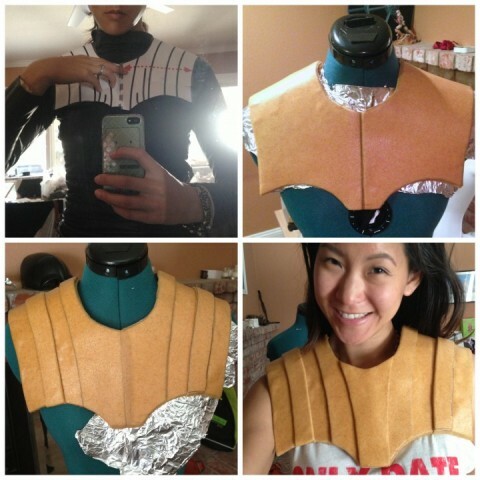 To make the armor, I decided to go with Worbla, which is a thermoplastic very similar to Wonderflex. However, I had never used Worbla before so it was definitely a learning experience. There are a few things I might have done differently if I did it over again, but overall, I was happy with the results. 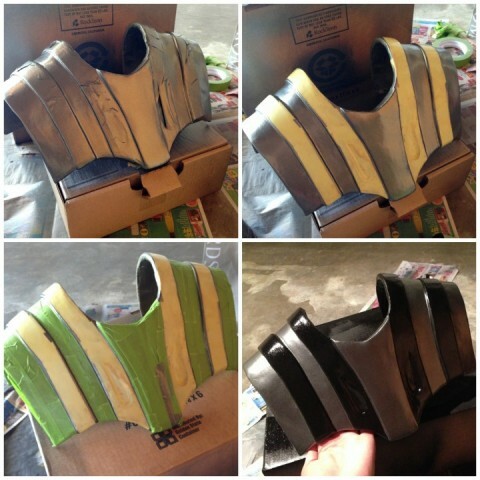 For most of the armor, I used two pieces of Worbla with a piece of craft foam in between. I found this template online, enlarged it on a copy machine and used it as a basis for the chest armor. Once I had everything fitted to my body, I made the two shoulder pauldrons and cut the two “tear drop” shapes out of the front. To fill in these two tear drop shapes, you could either use putty or do what I did, which was use bondo (aka auto filler). Read more about the build process at The Stylish Geek.